Quickly and easily turn robust information into true intelligence. This leading-edge analytical tool provides on-demand access to high-quality, comprehensive compensation analysis data from a source you can trust. Using Mercer compensation analysis surveys delivered through Mercer PayMonitor®, you don't have to guess about competitive compensation in your marketplace. Mercer PayMonitor permits you to quickly access market data and regression analyses using template reports or custom reports you create specific to your market needs. You may also view, download, or print the entire published report. 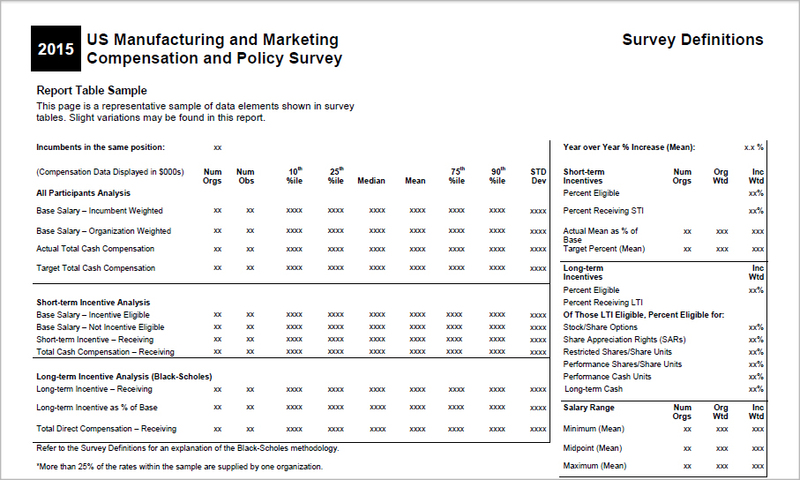 Compensation surveys provide market data covering cash compensation and long-term incentives. Whether you want a quick report to view your predefined statistics one position at a time or a graph comparison of your market data, Mercer PayMonitor gives you access to your secure and confidential surveys so that you can make the most profound strategic business objectives for your company. Click on the image to view in a larger size. With the Report Wizard, you can customize the templates and market data that you want to examine. Pick the jobs you want to analyze, select the specific revenue cut of data for your market, then print or export the results. If you need further assistance along the way, our detailed step-by-step online users’ guide can help you with any questions you may have about Mercer PayMonitor. United States Customer Service: 1-800-333-3070 or 1-502-560-8290 | Global Software Helpdesk: +800 8300 0042 (11-digit global number, local toll charges apply). In the US, 1-800-866-7474.